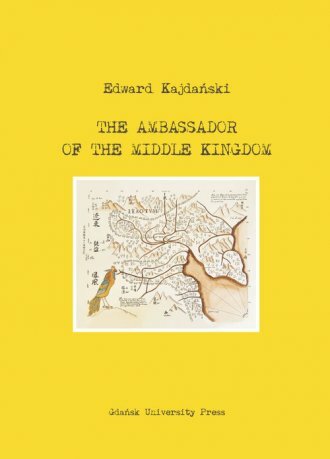 The publication of Ambassador of the Middle Kingdom met with widespread interest in China and was described as the best monograph in the world about Michal Boym. It was recognized as containing the most extensive amount of material relating to Boym, and as justly evaluating his great services in spreading knowledge in Europe of the civilization of ancient China. The majority of Jesuit missionaries working in China in the seventeenth century aimed to familiarize the Chinese with the achievements of European science, in astronomy, geography, and mathematics. Boym s interests lay in the opposite direction. He wanted to provide Europe with a knowledge of China, its nature, geography, philosophy, language, and above all traditional Chinese medicine. He was the only seventeenth-century European author who left behind such an extensive re-cord of Chinese medicine and pharmacology. Mr. Kajdański once pointed out that at that time, when the discovery of China and its culture was primarily the domain of maritime nations, the Portuguese, Dutch, and English, Michał Boym was the only Pole to contribute so signi cantly to the deepening and spreading of knowl-edge about China in Europe. Since the publication of Selected Works by Michał Boym in China, we can see this clearly. This English-language edition of Michał Boym: Ambasador Państwa Środka came into being twelve years ago as a result of my research over many years (from the begin-ning of the 1980s) into the life and work of Michał Boym. In this connection, I would like to say a little more about the context in which this version came into being and to explain why it is only now appearing in print.